From 1992 through 2016, the NextMed / MMVR conference served as a forum for an international, multi-disciplinary community of researchers committed to improving healthcare with advanced computing. Inspired by the possibilities of virtual reality, the conference presented developments in simulation, visualization, modeling, haptics, imaging, robotics, and related fields, and their application to patient care and medical education. 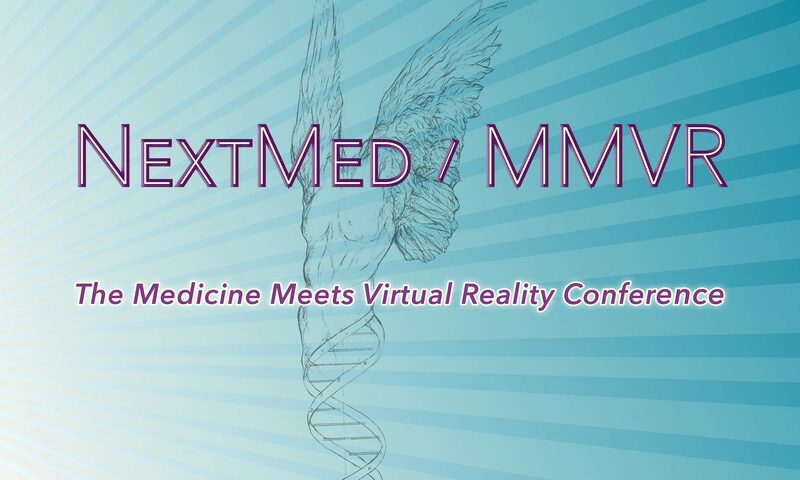 The series that began as Medicine Meets Virtual Reality in 1992, and later merged with the NextMed conference, concluded with NextMed / MMVR 22, held April 2016 in Los Angeles. Researchers from 23 countries gave more than 180 presentations, wrapping up a remarkable exploration of healthcare technology. Our heartfelt thanks to the Organizing Committee for its steadfast support, and to the many hundreds of individuals and organizations who came from around the world to share their work. It has been an honor to bring together so many dedicated people and creative ideas. We invite you to browse the conference archive, the published proceedings, photos, and other resources posted here.